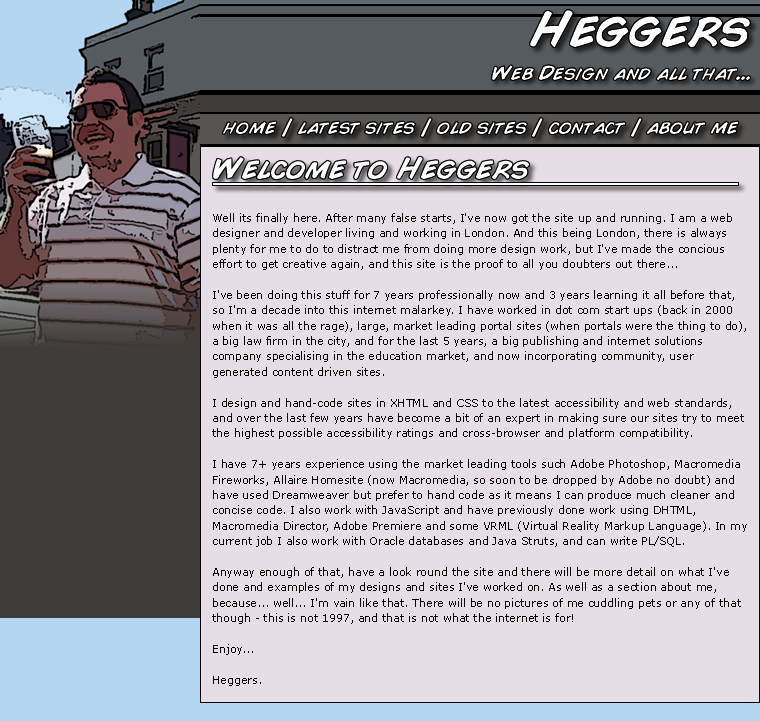 Cartoon version - This is the first version of heggers to launch. It is designed around a photo of myself taken last summer. I liked the composition of the buildings behind me and the angles and striaght lines I could use from that. I then decided to give it some posterization and make it a cartoon/comic book version of the photo, as I could then select a good simple base range of colours to work with that wouldn't be too over powering.